Page 37 — Caught between two worlds, Sami cannot believe her eyes. And we’re off to sea! I took some in-progress photos of this page to make a post on my main blog, Karen Gillmore Art — if you’re interested in things like what colours I use and how I apply them, pop on over there. 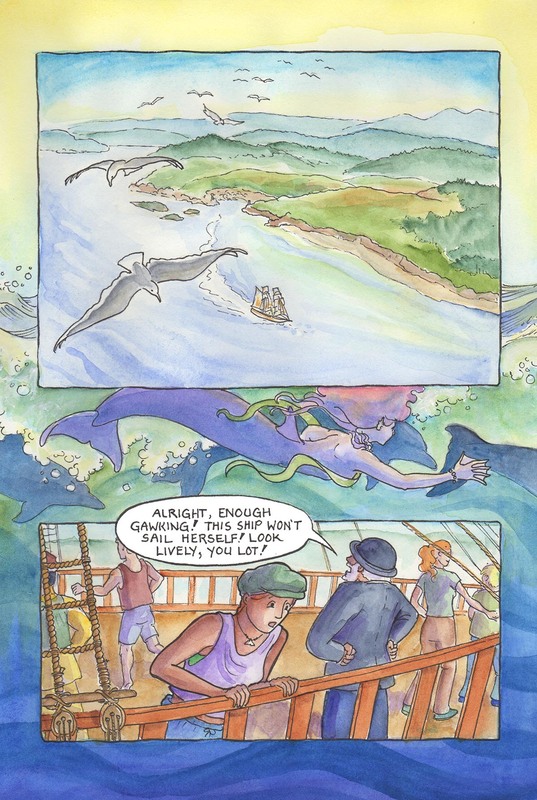 This comic was posted in Mermaid Music and tagged comic, dolphins, graphic novel, mermaid, mermaid comic, sailors, sea comic, seagull, ship, watercolour, webcomic.